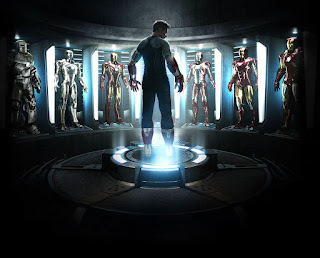 Image courtesy of Marvel Entertainment, Inc. In the world of American comic book superheroes, most fall into one of two camps: those who were born or acquired superpowers and those without conventional superpowers who make themselves into a hero anyway. Pixar's 2004 feature The Incredibles drew this distinction clearly; although the Tony Stark-esque character of Syndrome proved to have malicious intentions built on a platform of poor self-esteem. In fact, one could make the argument that Syndrome and Tony Stark have much in common - Tony, of course, choosing to take the moral high ground. Iron Man 3 revolves around striving to answer this question both the villain and the hero have: Is there any way to build yourself into the super that you've always wanted to be, and still love yourself at the end of the day? Third films are tricky territory for most filmmakers. Audiences are already well-acquainted with base characters so after a requisite catchup a decently paced plot has to carry it through. Robert Downey Jr. has all but adopted Tony Stark as a second skin; a near-absorption shaped equally by the character and by Downey himself. 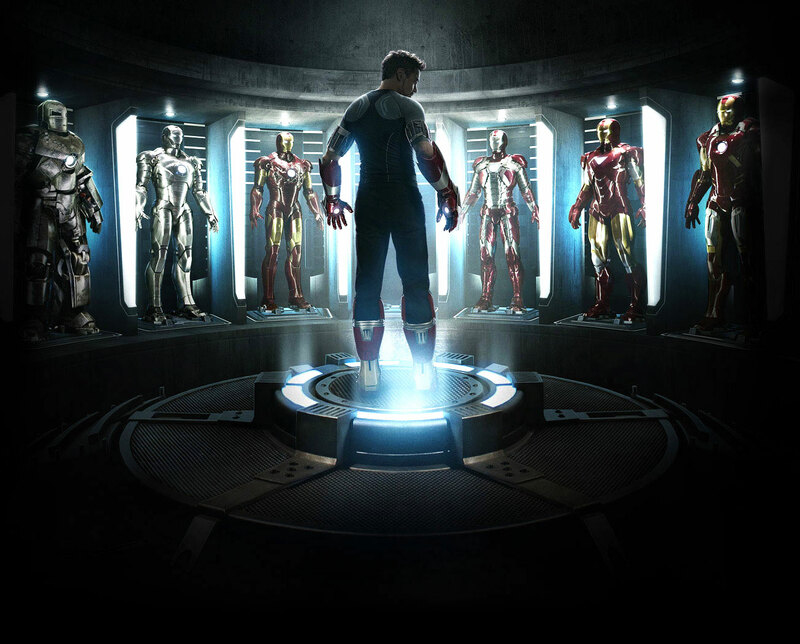 Iron Man 3 had quite large super boots to fill being the first individual Avenger film after the sweeping success Joss Whedon's The Avengers was and is. Also, let's face it, Iron Man 2 sucked. With the exception of a humorous performance by Mickey Rourke, a combination of a fast-talking obnoxious and dopey villain combined with Tony's whining and sniping with Rhodey - it was a weak follow-up to a near-flawless debut. Another potential concern was switching directors from Jon Favreau, an everyman in every sense (if you've never seen Swingers, which he wrote and starred in, stop reading this post, get it on your Netflix list, and come back to the program) to Shane Black, best known for his Lethal Weapon films. But the switch proved to be a much-needed breath of fresh air, and keeping Favreau as a producer and actor as Tony's overprotective bodyguard was a smart move, since it's clear the Favreau wit of the first two films remains intact. In this roundup, Tony suffers from a loss of personal identity. His work and home life clearly aren't meshing, taking a toll on long-suffering Pepper and on top of it all, there's a terrorist threatening America through creative means. Then enters the ever drool-worthy Guy Pearce as a possible contender for Pepper's heart. Quips, bullets, bombs and plot points whiz by and hit their intended targets with blazing accuracy. The two-plus hour film keeps up its pace without being breakneck and sticks to its essential plot points. There's too much to show and explain to waste time on the extraneous; thankfully there's no "scene fillers" like the totally unnecessary machismo fight between Rhodey and Stark in the second film. We even get to see Pepper suit up, albeit all too briefly, but it gave me nice Metroid flashbacks all the same. To almost an extreme effect, Iron Man 3 goes to great lengths to distinguish the man from the suit, to the point of where Tony and the suit are sitting next to one other on a couch and Tony is talking to it as he would an old friend via Jarvis, his eloquent A.I. we've become increasingly familiar with as Tony's voice of reason (and voiced brilliantly by the ever-talented Paul Bettany.) But towards the end of the film, that envelope gets pushed a tad too hard, and I start getting the sense of the Syndrome character effect mentioned earlier- he has to prove to Pepper and the world that he doesn't need the suits in such an over-the-top way that it smacks of massive insecurity. The ending has such a sense of finality, and yet at the end of the credits we get a note, done in a Bond-like fashion; "Tony Stark Will Return." WARNING- after this, there be potential spoilers, matey. It's a great kickoff the summer season, to be sure, and an exhilarating ride - no need to see in 3D; the non gives you a clearer picture and you can save yourself a couple of bucks - but it left me wishing for more of a happy medium between being Tony Stark and being Iron Man. Tony Stark owns unlimited assets, the love of his life, and his sanity again -we know he doesn't NEED the suit, but considering his own creation has saved his life so many times, shouldn't it deserve better? The Critic is coming AnimeNEXT 2013!